Beginning as usual with my pick of the week, and we have a two way tie for the award this time around. Both of the favourite films this week were stories set in the Arab world, though they were movies with vastly different perspectives. 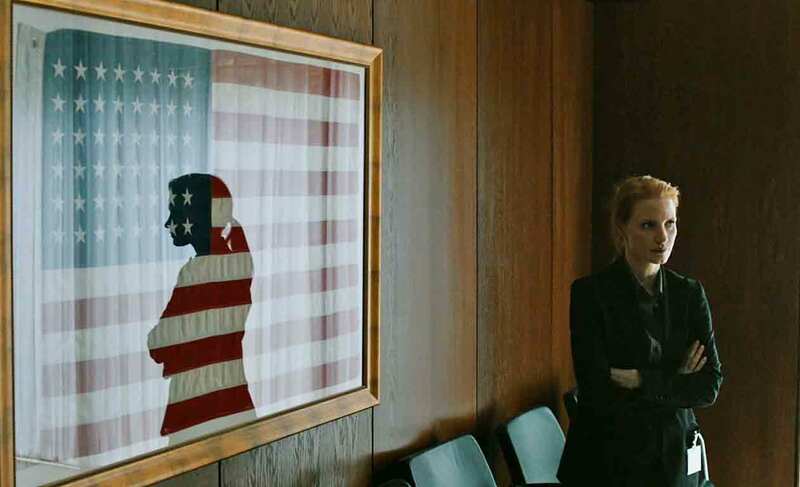 Zero Dark Thirty is Kathryn Bigelow's latest film, and until recently looked set to be a major contender at this year's Academy Awards. However, following some controversy regarding a number of scenes in the film which portray CIA operatives torturing detainees, it appears that ZDT is likely to lose out to less divisive pictures such as Lincoln and Argo in the major categories. This is a shame, really - whilst watching the film, I thought Kathryn Bigelow took pains to avoid making the film either pro or anti the use of torture in these circumstances; it was simply presented as something which took place in the course of the CIA's investigation. In any event, this is an excellent film, and definitely worth a watch for anyone who enjoyed The Hurt Locker. Bigelow throws the viewer straight into the deep end, with some of the more gruesome and unpleasant scenes taking place right at the start of the picture. Once we move past that section, we're left with an extremely gripping thriller, with the CIA running down various red herrings and suffering numerous setbacks in the hunt for Osama Bin Laden. Jessica Chastain is on fine form as Maya, the lead CIA operative on the case. She's implacable and relentless in her pursuit, and it is her insistence that the way to Bin Laden is to track his most trusted courier that results in the US government finally locating and killing the world's most wanted man. A Separation was a winner at last year's Oscars (for best Foreign Language film), and in my opinion, the award was definitely merited. The set up involves a court case following a domestic incident in the homer of Nader (Peyman Moaddi). He has been accused of killing the unborn child of his father's carer Nazieh (Sareh Bayat), by pushing her down some stairs. Nader denies the charges; though he admits that he pushed Nazieh, he maintains that he wasn't aware she was pregnant. As different sides to the story are presented in front of the judge, we gradually discover the truth behind the incident. The central message of the film is that almost every character is compromised - nobody is telling the whole truth, though each character has a valid reason for keeping certain aspects of their story secret. This is a very interesting film, which sheds some light on class tension and other aspects of day to day life in Tehran. There are highly naturalistic performances across the board, with Moaddi and Leila Hatami (who plays Simin, Nader's estranged wife) particularly good. There was nothing which I saw this week which I'd regard as being particularly bad, but neither Pet Sematary, nor The Dictator will live long in the memory. Pet Sematary is a fair to middling adaptation of one Stephen King's most interesting novels. While the book examines the effects of grief in grieving parents, and the fear of death and decay, the movie simplifies things, focussing on the book's basic premise of an Indian burial ground which can bring the dead back to life. It's a reasonably effective horror flick, with one or two genuinely unsettling moments. 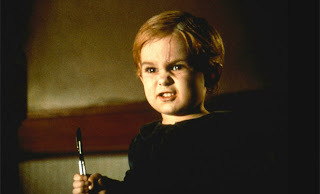 Still, a killer zombie toddler isn't a particularly scary foe, so the ending of the movie is a little weak. The Dictator, Sasha Baron Cohen's latest vehicle, sees hated despot Admiral General Aladeen (Cohen) stripped of his power and forced to rely on his wits on the streets of New York City. It's a real hit and miss affair - Cohen throws out a lot of lowbrow jokes, and though most of them fall flat, on occasion I found myself laughing out loud. It's nowhere near as consistently amusing as Borat, but still decidedly better than the atrocious Ali G movie. 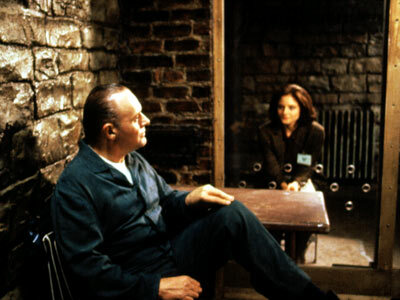 "Clarice Starling: If you didn't kill him, then who did, sir? Hannibal Lecter: Who can say. Best thing for him, really. His therapy was going nowhere."